le chaudron de vulcain – April 03 , 2019. EN. 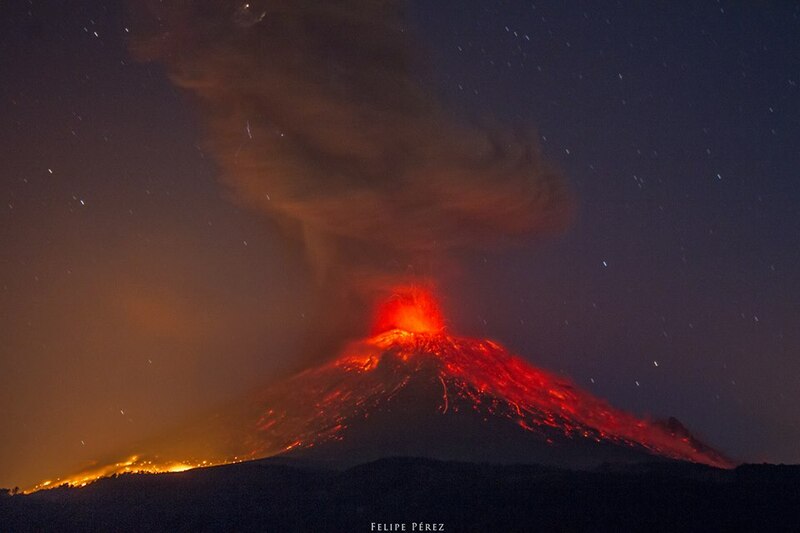 Philippines : Taal , Kamchatka : Karymsky , Peru : Sabancaya , Mexico : Popocatepetl , Indonesia : Karangetang , Guatemala , Fuego . April 03 , 2019. EN. Philippines : Taal , Kamchatka : Karymsky , Peru : Sabancaya , Mexico : Popocatepetl , Indonesia : Karangetang , Guatemala , Fuego . Home / blog georges Vitton / April 03 , 2019. EN. Philippines : Taal , Kamchatka : Karymsky , Peru : Sabancaya , Mexico : Popocatepetl , Indonesia : Karangetang , Guatemala , Fuego . Back from holidays. What has happened to the world of volcanoes since I left? (Sorry for yesterday, power failure that lasted all day …). 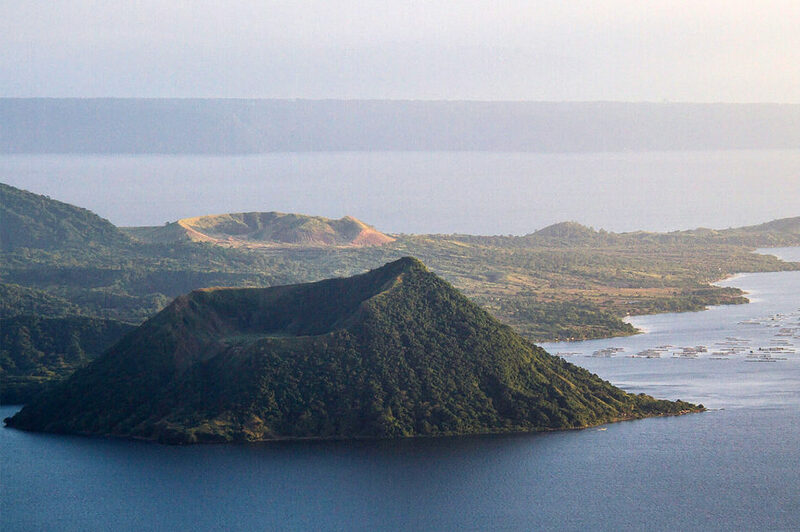 TAAL VOLCANO BULLETIN 02 April 2019 08:00 A.M.
Taal Volcano’s seismic monitoring network recorded two (2) volcanic earthquakes during the past 24 hours. 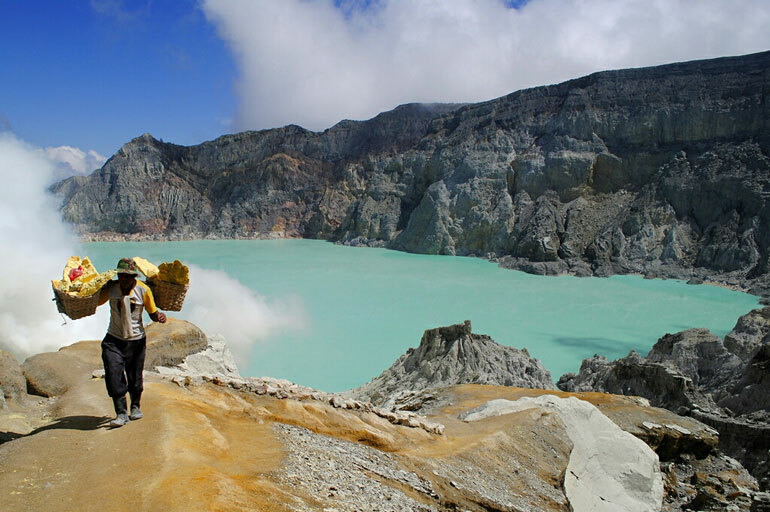 Field measurements on 28 March 2019 at the eastern sector of the Main Crater Lake yielded an increase in water temperature from 30.7°C to 31.7°C, a decrease in water level from 0.46 meter to 0.41 meter and increase in acidity from pH 2.95 to pH 2.67. Ground deformation measurements through precise leveling surveys from March 18 to 27, 2019 indicated slight inflation of the edifice consistent with recent results from continuous GPS data. 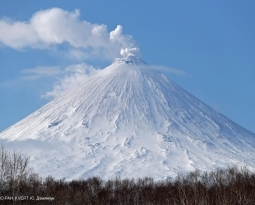 Ash plume of Karymsky volcano on March 27, 2019. View of the Uzon caldera. 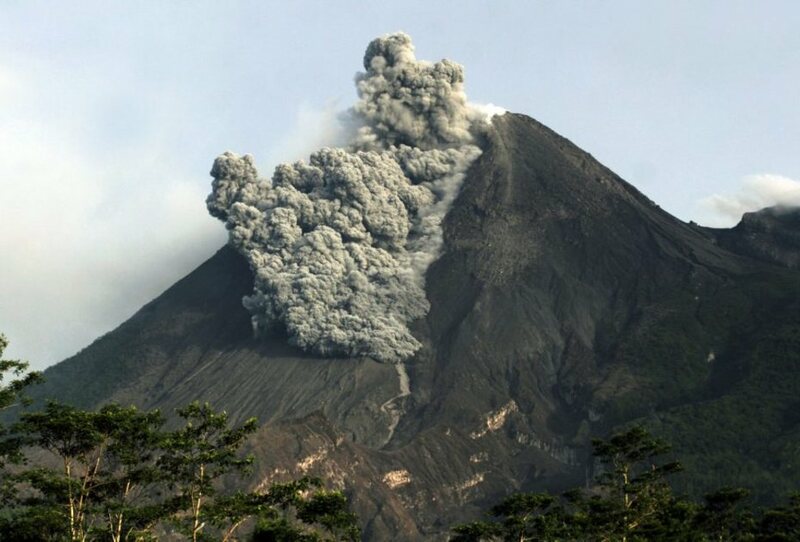 Satellite data shows an ash plume is extending about 13 km to the south from volcano. A moderate eruptive activity of the volcano continues. Ash explosions up to 13,100-19,700 ft (4-6 km) a.s.l. could occur at any time. Ongoing activity could affect low-flying aircrafts. Photo : E. Subbotina, Kronotsky Reserve, Kamchatka. 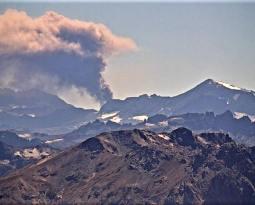 For the second consecutive week, the explosive activity of Sabancaya has increased again. 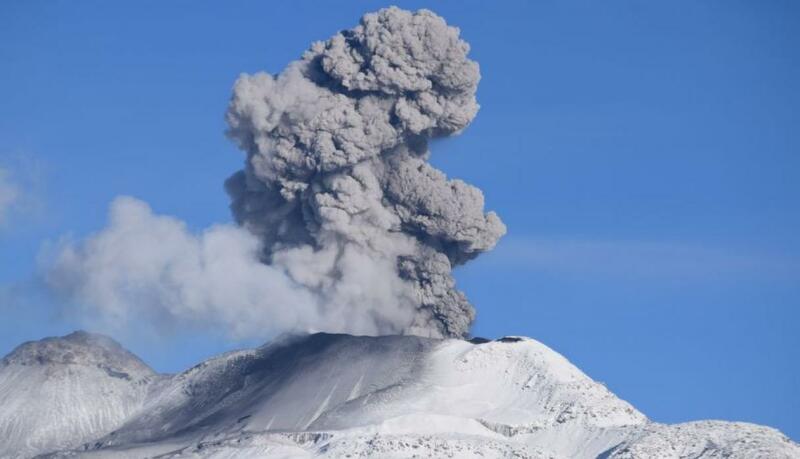 The volcanic gas (SO2) stream recorded a maximum value of 3,000 tonnes / day on March 31, a value considered important. Une anomalie thermique a été enregistrée selon le système MIROVA, avec 24 MW de VRP (énergie volcanique rayonnée). L’activité éruptive maintient des niveaux modérés. Aucun changement significatif n’est attendu dans les prochains jours. 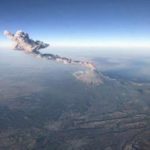 During the last 24 hours, 28 exhalations have been identified using the surveillance systems of the Popocatépetl volcano, accompanied by water vapor and volcanic gases. During the morning, a continuous emission of water vapor and gas was observed, with an East-North-West orientation. 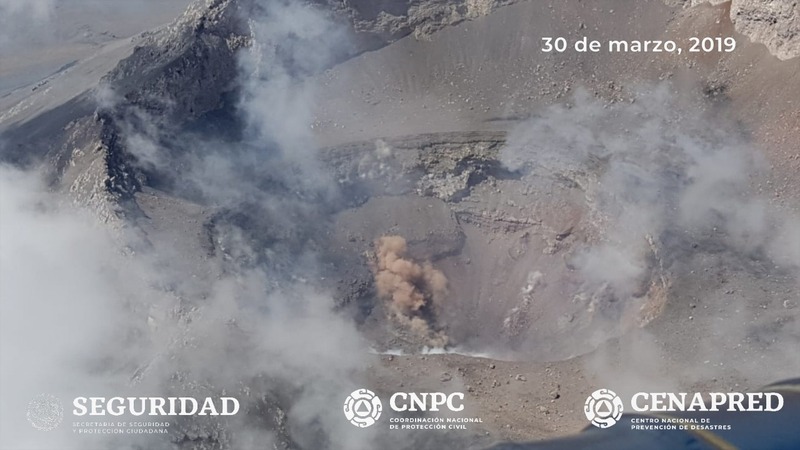 On Saturday, March 30, experts from the National Center for Disaster Reduction (CENAPRED) and the Institute of Geophysics of the National Autonomous University of Mexico (UNAM), with the support of the Federal Police (FP), made a flight of recognition of the conditions of the crater of Popocatépetl. During the overflight, it was verified that, following the latest explosions, the internal crater had increased in size, reaching 350 m in diameter and 250 to 300 m deep. The presence of a new lava dome could not be corroborated. The determination to fly over is derived from the risk analysis previously performed to determine crew safety conditions. Analyzing the videos of the explosions, it was determined that the ballistic fragments reached a height of between 500 m and one kilometer in about 8 to 10 seconds and that their horizontal range was 1 to 3 km. As a result, the flight takes place at 20,000 feet (about 6,000 feet above sea level), that is, more than 1 km above the crater floor, and obliquely to avoid being at above this one. The pilot knew that if an explosion was detected, he had to change the route instantly to get away from the volcano quickly. It should be noted that since December 1, 2018, eight overflights have been made to date, allowing more accurate and up-to-date data to be collected from the volcano. CENAPRED urges NOT to APPROACH the volcano and especially the crater, because of the risk of falling ballistic fragments, and in case of heavy rains, to move away from the bottom of the ravines because of the risk of mudslides and debris. The volcanic alert semaphore of Popocatepetl is located in PHASE 3 YELLOW. Photos : Cenapred , Felipe Pérez Fotoblog . Level of activity at Level III (SIAGA). 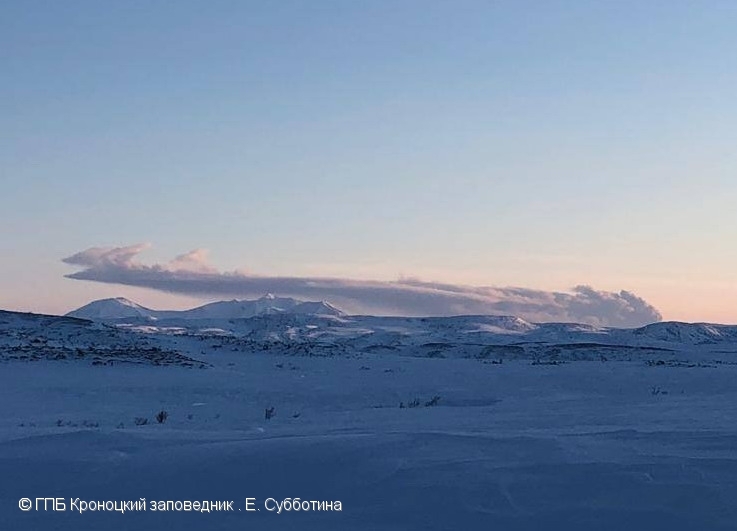 Mount Karangetang (1784 m) has been erupting since 25 November 2018. Since yesterday and until this morning, the volcano was clearly visible until it was covered with fog, it was observed that the smoke from the main crater was white in color with a thick intensity, about 150 meters above the summit. The wind was weak in the southeast. The public and visitors / tourists should not approach, climb or move in the hazard forecast zone which is 2.5 km from the summit of Kawah Dua (North crater) and the main crater (South) and the sectoral expansion zone around the Dua crater to the west. North, up to 4 km, area between Kali Batuare and Kali Saboang. It is recommended that the community around Mount Karangetang prepare a mask for the nose and mouth to anticipate the potential danger of airway disruption in the event of ash rain. People living around rivers from the summit of Mount Karangetang must be prepared for the potential threat of lahars and sudden floods that can spread to the coast. Photo : Ovie via Sherine France. Geographical location: 14 ° 28’54˝ Latitude N; 90 ° 52’54˝ Longitude O. Note: The parameters described below are given in the follow-up of the activity reported in the bulletin n ° 05-2019, where the reported increase of the Fuego volcano during the last days is reported. Presence of a weak white degassing at a height of approximately 4,500 m altitude dispersed towards the South-South-West. 13 to 16 ash emissions per hour are reported, with low to moderate characteristics, ash columns at an approximate height of 4,500 to 4,700 meters moving 10 to 15 km in a South-South-West direction. We report low to moderate rumbling, low to moderate shock waves that cause vibration in the roofs and windows of houses near the volcano. Low sounds similar to those of a locomotive with delays of 6 to 13 minutes. 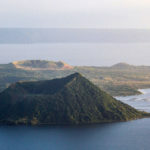 At night and early in the morning, incandescence was observed in the crater at an approximate height of 100 to 200 meters above the crater, causing low to moderate avalanches on the crater contour, some reaching long distances to vegetation. towards the ravines: Seca, Taniluya, Ceniza, Trinidad, Las Lajas and Honda. There are constant avalanches towards the Barranca Seca. Ash falls are observed at Panimache I, Morelia, Santa Sofia, Finca Palo Verde, La Rochelle, Ceylon, San Andrés Osuna, among others. A remaining lava flow is observed because of the recent activity, it could disappear in the next hours. Photo : Moises Castillo / Sputnik. 03 Avril 2019. FR. 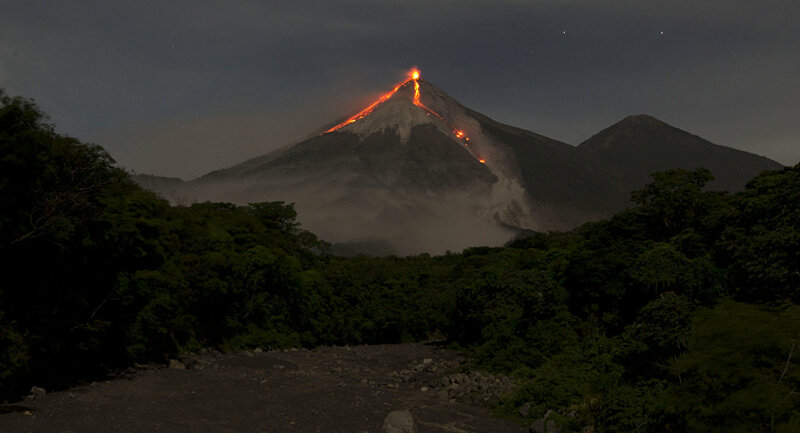 Philippines : Taal , Kamchatka : Karymsky , Pérou : Sabancaya , Mexique : Popocatepetl , Indonésie : Karangetang , Guatemala : Fuego .